Gottfried Hofmann (gottfried) awarded rB5cfeba72f117: Python API: allow passing integer to some BGL functions instead of bgl.Buffer a Love token. Gottfried Hofmann (gottfried) archived P450 BGL address argument..
Gottfried Hofmann (gottfried) added a comment to P450 BGL address argument..
Gottfried Hofmann (gottfried) awarded rB85915ae1aad7: Python API: allow passing None to some BGL functions instead of bgl.Buffer a Party Time token. Gottfried Hofmann (gottfried) added a comment to T59126: Segmentation fault when running gpu.types.GPUOffScreen.draw_view3d using a context override. Gottfried Hofmann (gottfried) assigned T59126: Segmentation fault when running gpu.types.GPUOffScreen.draw_view3d using a context override to Jacques Lucke (JacquesLucke). Gottfried Hofmann (gottfried) updated the task description for T59126: Segmentation fault when running gpu.types.GPUOffScreen.draw_view3d using a context override. Gottfried Hofmann (gottfried) created T59126: Segmentation fault when running gpu.types.GPUOffScreen.draw_view3d using a context override. Gottfried Hofmann (gottfried) awarded rB9682e43bf9e0: BGL: Wrap glBlitFramebuffer a Like token. Gottfried Hofmann (gottfried) added a comment to D1543: Cycles: Add Support for IES files as textures for light strength. Oh, and regarding false-color display etc. : Just go to the color management options and set the view to False Color. Gottfried Hofmann (gottfried) closed T54567: Blender freezes when using OSL noise template as Resolved. Gottfried Hofmann (gottfried) added a comment to T54567: Blender freezes when using OSL noise template. Gottfried Hofmann (gottfried) created T54567: Blender freezes when using OSL noise template. Gottfried Hofmann (gottfried) created T54269: EXRs produced by latest master non-readable in most editors. Gottfried Hofmann (gottfried) awarded D3038: Cycles volume : fast empty space optimization by generating a tight mesh around the volume. a Love token. Gottfried Hofmann (gottfried) added a comment to D1897: Fix T48044: Smoke rendered color differs from color in viewport. Gottfried Hofmann (gottfried) added a comment to D3033: Cycles: add Principled Volume shader..
Gottfried Hofmann (gottfried) created D2692: Import PLYs with non-standard format string. Gottfried Hofmann (gottfried) created T51553: Cycles: Volume Emission turns black when strength is 0 or color is black. Gottfried Hofmann (gottfried) added a comment to D2424: Add font selection to VSE text strips. One small request: Can you use the Blender font loading infrastructure like in the font object (see attached image)? Gottfried Hofmann (gottfried) created T50209: Is glossy ray broken in light path node. Gottfried Hofmann (gottfried) added a comment to D1985: Light Linking. Gottfried Hofmann (gottfried) awarded D1985: Light Linking a Mountain of Wealth token. Gottfried Hofmann (gottfried) retitled D2198: Network renderer: simple fix for T43966 - In large projects the default set socket.timeout is to low from to Network renderer: simple fix for T43966 - In large projects the default set socket.timeout is to low. Gottfried Hofmann (gottfried) updated D2196: Netrender: Fix for T46042 - Slave continues to render frames after cancellation by job manager. Gottfried Hofmann (gottfried) retitled D2196: Netrender: Fix for T46042 - Slave continues to render frames after cancellation by job manager from to Netrender: Fix for T46042 - Slave continues to render frames after cancellation by job manager. Gottfried Hofmann (gottfried) added a comment to T49163: Animated object visibilty 1 frame off when turning on motion blur. I see the problem. But in case of normal objects this behaviour introduces a lot of new problems. Gottfried Hofmann (gottfried) created T49163: Animated object visibilty 1 frame off when turning on motion blur. Gottfried Hofmann (gottfried) created T48698: Rays from SSS act as diffuse for normal objects but have an undefined type for lamp objects. Gottfried Hofmann (gottfried) added a comment to T41748: Remove-Doubles (modifier). When modeling with the screw modifier, a remove doubles modifier would be awesome as well! I have been longing for this for a long time now. Gottfried Hofmann (gottfried) added a comment to T45093: Cycles: NVidia GTX 980 Ti rendering at 1/3rd speed of NVidia GTX 980 the same machine?. One thing: Bad performance happens in Windows 7 as well when driver version is 359.06 or 364.51. Only 361.91 seems to work fine on Windows 7. Seems like the Problem is with nVidia? Gottfried Hofmann (gottfried) created T48088: Reproducible crash: Edges + Array Mod + Hair Particles. Gottfried Hofmann (gottfried) created T48044: Smoke Colour from flow source in Cycles differs from colour set and viewport colour..
Gottfried Hofmann (gottfried) added a reviewer for D1838: Activate the bevel factor section when extrude > 0: Campbell Barton (campbellbarton). Gottfried Hofmann (gottfried) created T47725: Kerning table not read from TTF font. Gottfried Hofmann (gottfried) added a comment to D1733: Smoke/volume visualization settings. I did not find time yet to apply the patch myself - in what way does the patch interfere with fire rendering? Gottfried Hofmann (gottfried) created T47539: Plane track ignores absolute scaling of image. Gottfried Hofmann (gottfried) retitled D1818: Remove check for Win2k from Netrender from to Remove check for Win2k from Netrender. Gottfried Hofmann (gottfried) added a reviewer for D1807: Fix for T45097: "Reset error frames" not working in Netrender: Bastien Montagne (mont29). Gottfried Hofmann (gottfried) retitled D1807: Fix for T45097: "Reset error frames" not working in Netrender from to Fix for T45097: "Reset error frames" not working in Netrender. Gottfried Hofmann (gottfried) added a comment to T46405: Point density textures. When using vertices as source, the viewport preview render does not update when adding a modifier or changing modifier settings..
Gottfried Hofmann (gottfried) created T46405: Point density textures. When using vertices as source, the viewport preview render does not update when adding a modifier or changing modifier settings..
Gottfried Hofmann (gottfried) added a comment to T46301: Cycles Point Density Texture object space wrong mapping for scale. Gottfried Hofmann (gottfried) added a comment to T46358: Cycles point density interpolation failing. Gottfried Hofmann (gottfried) created T46301: Cycles Point Density Texture object space wrong mapping for scale. Gottfried Hofmann (gottfried) added a comment to T43654: force field "radial distance" has no effect. Don't bother breaking things - there was another user at a Blender conference (I guess it was 2011) who also wanted this fixed. Gottfried Hofmann (gottfried) added a comment to D1404: Force Field Visualization and Debugging Tool. Gottfried Hofmann (gottfried) added a comment to F206657: forceviz_04.blend. Comment about vertex attribute: It seems to me like it is using just an attribute, which you can use for a Cycles shader for example. I think it would be better if the user could select a vertex color layer for that so the effect can also be previewed in non-rendered viewport. And using weight layers (for absolute force) could make this even useful for some nice motion graphics effects. Gottfried Hofmann (gottfried) accepted D1404: Force Field Visualization and Debugging Tool. Gottfried Hofmann (gottfried) created T45251: Changing custom proxy directory for per-strip proxies fails. Gottfried Hofmann (gottfried) added a comment to D1373: Automatically Offset Nodes on Insertion. Besides, I wonder if "auto render" couldn't be iconified instead as well? Also, is anyone really using it? Gottfried Hofmann (gottfried) created T44809: Cycles render speed regression on 580 GTX GPU with current buildbot. Gottfried Hofmann (gottfried) created T44677: Normal Edit Modifier Radial Mode broken with target object. Gottfried Hofmann (gottfried) created T44548: Cycles Tube Mapping off / not compatible with BI. Gottfried Hofmann (gottfried) added a comment to rBc884ac28a7bb: 3D Textures:. @Kévin Dietrich (kevindietrich) - your idea is exactly what OpenVDB is doing (on CPU, though, no GPU support yet). Gottfried Hofmann (gottfried) created T44113: Ashikhmin-Shirley distribution of glossy shader at 0 roughness causes artifacts when background uses MIS. mont29, I can confirm the issue. Only the +/- Z maximum is working, not the radial maximum in the tube falloff. Gottfried Hofmann (gottfried) added a comment to T43516: force field noise wrong behavior (?). Gottfried Hofmann (gottfried) retitled D1103: Generate correct Cycles node setup for quick smoke "fire" preset from to Generate correct Cycles node setup for quick smoke "fire" preset. Gottfried Hofmann (gottfried) created T43429: bpy.ops.render.render() not working with scene in VSE. 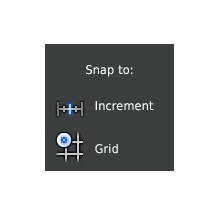 Gottfried Hofmann (gottfried) added a comment to D910: Absolute grid snapping. Gottfried Hofmann (gottfried) awarded T42632: Absolute grid snapping a Like token. Gottfried Hofmann (gottfried) added a comment to T41865: Fluid bake not possible in windows using a python script from the command line results in empty cache. Thank you for the quick fix, confirmed that it is working now! Gottfried Hofmann (gottfried) added a comment to T28725: No way to control fluid simulator from Python API?. Gottfried Hofmann (gottfried) created T41865: Fluid bake not possible in windows using a python script from the command line results in empty cache. Gottfried Hofmann (gottfried) retitled D777: Fire for Cycles Quick Smoke from to Fire for Cycles Quick Smoke. Gottfried Hofmann (gottfried) retitled D776: Better "Quick Smoke" for Cycles from to Better "Quick Smoke" for Cycles. Gottfried Hofmann (gottfried) added a comment to T41179: Cycles Voxel Data Node Mockup. Gottfried Hofmann (gottfried) created T41179: Cycles Voxel Data Node Mockup. Gottfried Hofmann (gottfried) assigned T40983: Particle Texture ignores generated coordinates to Lukas Toenne (lukastoenne). Gottfried Hofmann (gottfried) added a comment to T40877: Bezier Hook to New Object does not work properly. Gottfried Hofmann (gottfried) added a comment to T40712: "From Dupli" in Cycles Texture Coordinates not working. Gottfried Hofmann (gottfried) assigned T40712: "From Dupli" in Cycles Texture Coordinates not working to Lukas Toenne (lukastoenne). Gottfried Hofmann (gottfried) assigned T40550: Cycles Volumes to Brecht Van Lommel (brecht). Gottfried Hofmann (gottfried) awarded D529: Make hook centre available as property. a Like token.